Give us a bit of detail about yourself – background, profession, how you got into filmmaking and your current role? I am a director and photographer, currently working between Shanghai, Paris and Los Angeles. My journey into film-making started with illustrations and comics. In university, I majored in animation and directing. My studies gave me exposure to all aspects of the film-making process, everything from scriptwriting, concept design, character animation, set design to sound recording, editing, special FX and color grading. This was the perfect preparation for a career as a film director. I had to produce, shoot and direct three music videos for a Belgium rapper within one month in two different countries – China and the USA. 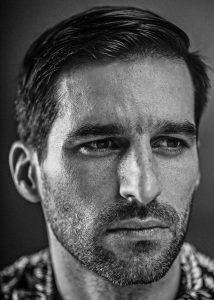 My friend Arthur Muller and I brainstormed until we got the idea for ‘Dessert’ and shot it a few days later. ‘Dessert’ was shot in a studio in Los Angeles because we needed a totally controlled environment to match our storyline. Since we only had a day to complete this project, we came up with an idea for an infinite loop, inspired by the retro universe of the Twilight zone. 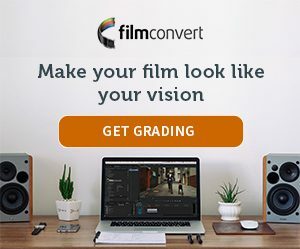 I used to exclusively use a digital scan of 8, 16 and 35mm footage for adding grain to my projects until a friend of mine saw my workflow and told me about FilmConvert. I used it and was extremely impressed by the results and efficiency. Since then I have been using FilmConvert on most of my projects. FilmConvert is now entirely part of my workflow, generally for adding grain in my footage but this time I wanted to use the LUT extensively. I wanted to emulate the Colorama vintage look on this project, as a kind of tribute to the Twilight Zone and 60’s B movies that I used to love when I was a kid. So FilmConvert was the go-to for me. For this, I used a base LUT that I bought from film riot and mixed it with FilmConvert. I like to grade my work in Da Vinci Resolve, I find the software very convenient, it gives me a free control of the color and final tune of the image, especially with the micro panel. On this specific project, I created a node at the end of my nodal tree with the camera profile set on Arri Alexa (we shot on Alexa Mini). For the film set, we used the Kodak 5207 Vista 3 with a 35mm full-frame sensor, the film color was set at 50% as for the curve, the grain is at 25%. I had to erase a couple of things on some shots, for that, I used the technique of matte painting, paint the face injury on the main character’s face at the beginning but also extended the street in some of the angles where you could see the studio. Usually I also mix 3D objects but, in this case, only 2D elements, I also designed the opening titles based on a font kit purchased on Envato market. All this comes from my old days as an animation director.